A four-legged tubular steel base and the organically shaped Side Chair shell are the defining components of the visually understated DSX (Dining Height Side Chair X-Base). The seat shell comes in various colours and upholstery options while the base is available in a chrome-plated or powder-coated version, the latter of which can be used in gardens or on terraces. 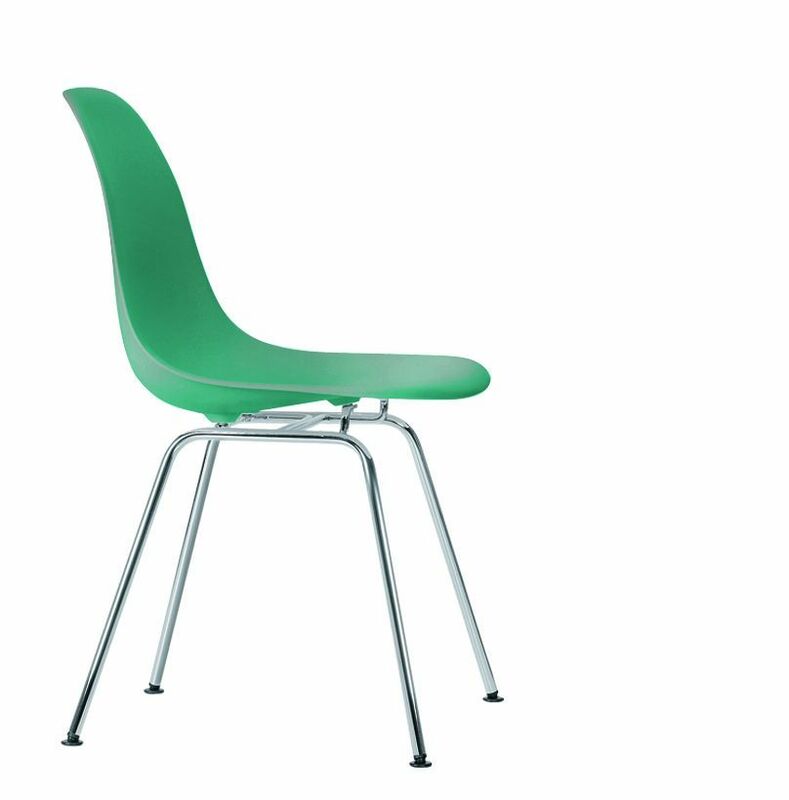 The Eames Plastic Chair is available as a visitor, dining, swivel or rocking chair or in stacking versions with ganging brackets for row seating. Beam-mounted shells are suited for use in waiting areas.